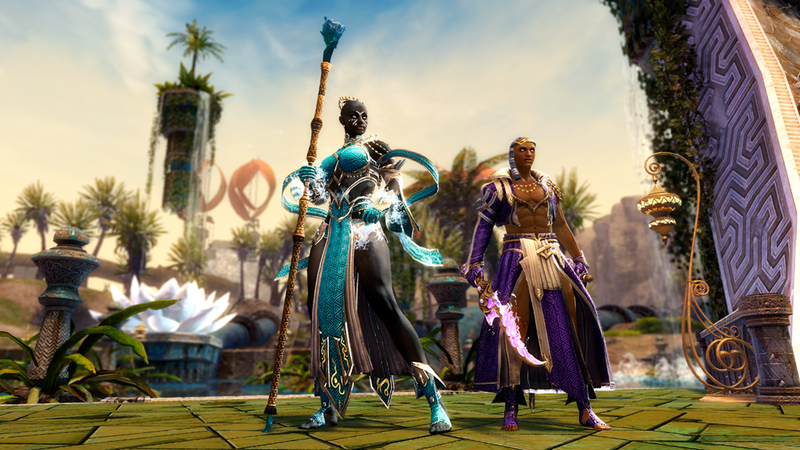 If you think mesmers dominate the Tyrian fashion scene, prepare to be shocked—this earthshaking outfit will keep you feeling cool and looking hot all summer long. 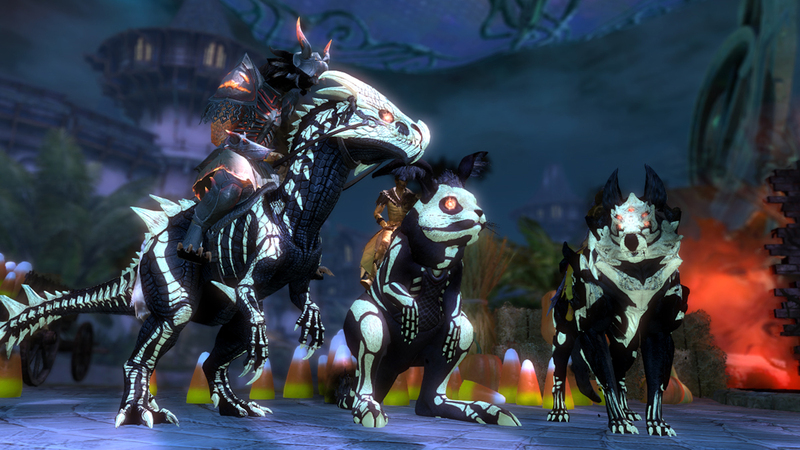 The Spooky Mounts Pack is back in stock! It comes with a skin for each of your mounts, so you can treat your whole stable. Next week we’ll refresh the available seasonal outfits, so be sure to pick up your favorites before they go back into storage. Grenth’s Regalia Outfit is Available in the Gem Store!